Skincare is never an easy review to do, it takes time to see if your skin has benefitted from the products. I always tell clients that I shall happily do a review but it won’t be anytime soon. To get a true reflection of how the skincare has worked for you you must give it a chance and stick with it. 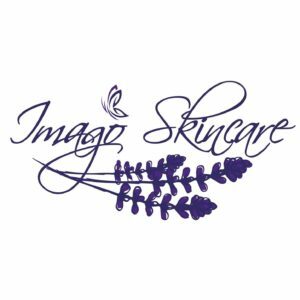 It’s not often you can instantly know your skin is going to love a skincare range but that is exactly what happened when I started to use Imago Skincare. 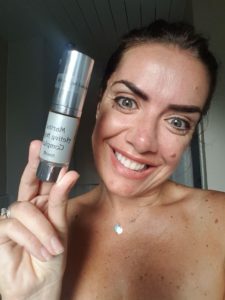 My skin loved it and it really did not take long until I noticed my oiliness had reduced and my skin appeared brighter and smoother. I took to my group to tell the members how I loved this brand and I was not alone. Many women rave about it which is a testimonial to how good it actually is. It is all handmade and natural so no nasties in any of the products which is a bonus. I started making skincare several years ago after attending training courses in Forres, Scotland with Kolbjorn Borseth, director of Aromantic skincare. 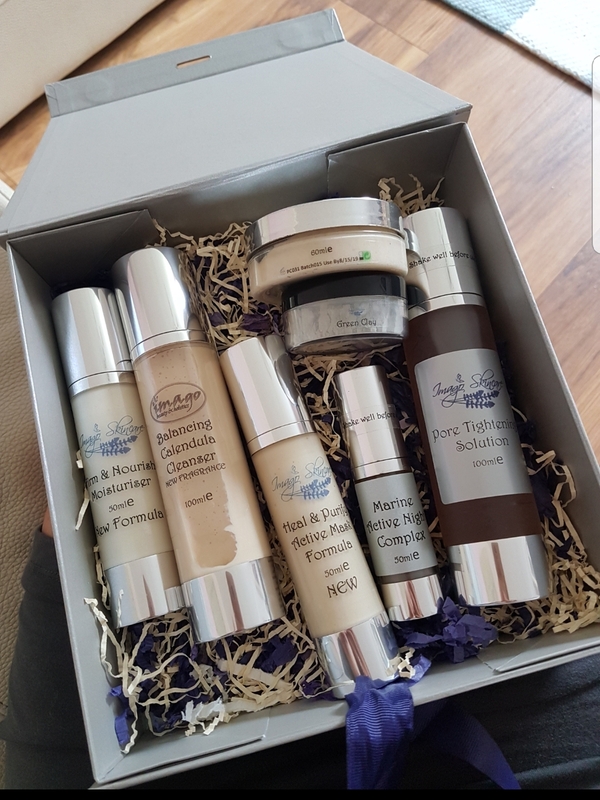 Ever since the training, I have been working towards creating my range of products containing the best ingredients to nourish and care for your skin . The products were designed for specific skin types or needs and are formulated with ingredients to obtain the desired results. I have been known to spend 3 years trying to get a product right. I believe that I have a natural ability to choose ingredients that make the best possible product. As a qualified aromatherapist, I use well selected essential oils to fragrance my skincare and the oils are specifically chosen to enhance their effectiveness. The products have a holistic aspect in that the essential oils have therapeutic effects, such as stress relief or enhanced sleep. I have been using my products as a therapist for several years and have received very positive responses from my clients, who often comment that they cannot believe the difference to their skin! I am now ready to move into the wholesale market so that other therapists, and their clients, can access the products. 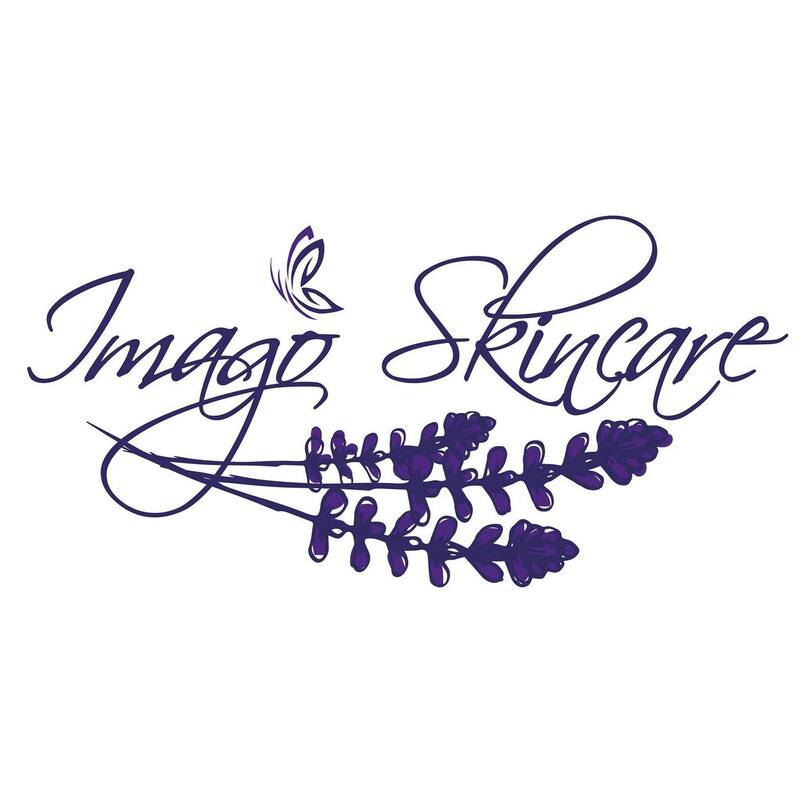 Imago handmade and bespoke products have been in development since 2004. My products are derived from plant and marine sources! The following are just four out of fifteen ingredients used in this product. Eco Marine Algae Extract – Tests showed the capacity to stimulate cellular proliferation which significantly increased collagen synthesis by 19.3% using a 2% concentration in only 24 hours compared to an untreated control sample. Even when used at 0.5% there is a gradual increase collagen synthesis of 17% after 72 hours compared to untreated samples. EcoCert approved ethanol is used to make an extraction of Cylindrotheca fusiformis which is an oceanic marine algae. Because of the risk of pollution in the seas, the producer grows the microalgae in a purpose-built eco facility. This not only guarantees the purity of the algae but also means that the eco-balance of the oceans are not disturbed by uncontrolled harvesting. The algae give off gases that are harvested to heat the facility and it is powered by solar panels to give a low carbon footprint. Argan Oil – alpha-tocopherols, carotene, phytosterols and Omega 6 fatty acids. Pumpkin Seed Oil – high zinc content, an excellent lifting oil for dry, mature and damaged skin. high in vitamins A, beta-carotene, B2, B3, potassium, magnesium. It is also high in omega 9, 6 and 3. Said to contain high quantities of vitamin A, beta-carotene, and vitamins B2 and B3 Pomegranate Seed Oil – Contains Vitamins A, B D and E, also contains Punicic Acid which is known as Omega 5. This rare essential fatty acid is abundant in Pomegranate Seed Oil and this oil is the only known botanical source. Omega 5 has strong anti-inflammatory properties and is a good antioxidant. It tackles free radicals so delays skin ageing making the oil very regenerative and even helps to stimulate collagen production. Studies show that it provides protection from sun damage. Do not consider this to be an oil with high SPF because it is not but studies suggest that if sun damage has already occurred pomegranate seed oil can help to diminish that damage. Pomegranate Extract – help to regulate cell turnover and give the cell time to divide normally and form completely. Arctic Cranberry Extract – provides Essential Fatty Acids and Tocotrienols, offering a three-in-one kit for nourishing, moisturising and protecting the skin in the most natural way. Another great product was the Sooth and Purify green clay mask, it’s rejuvenating, healing, and pore tightening in action – great for shrinking large pores and removing impurities. It contains Herbal Extract of Wild Pansy and Chickweed, which has a synergistic effect and is cleansing, soothing and helpful for spot prone skin. Contains a special formula of 3 plant extracts from the South American Rain Forests which has been proven to show significant improvement to spot prone skin. 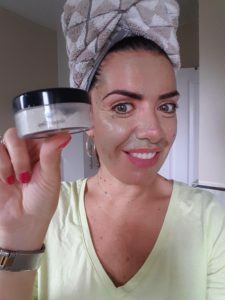 Comes with a separate pot of green clay to mix with the mask. Green Clay is detoxifying due to its unique blend of minerals. (copper, dolomite, manganese, silica, copper, zinc, phosphorous, magnesium and calcium). The zesty lime exfoliator was fresh and left skin silky smooth removing dead skin cells. It has Bamboo exfoliant (no plastics to pollute our seas) and coconut butter. Formulated with Lavender water and Castor oil and Jojoba oil to really get rid of all impurities, revealing beautiful, healthy and glowing skin all ready for the application of the marine complex and firm and nourish moisturiser. Large open pores are an issue for me so Pauline gave me the pore tightening solution to help reduce these pores and control that oil. I did feel this helped tighten everything up. The balancing calendula cleanser was another firm favourite. This again helps target problem skin, oiliness and open pores. Your make up literally melts away using this cleanser. Its so creamy and rich and your skin feels gorgeous after use. I like to remove it with water but you can just remove with cotton wool too.